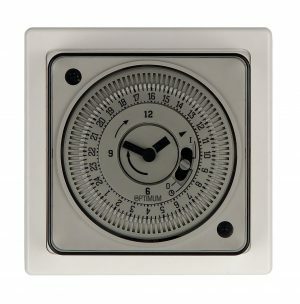 A timer offers great versatility in conjunction with a heating element giving the user the option to set times for when a towel rail should come on and switch off. Once set simply forget and allow the timers to do the rest. SBH have 2 versions of a timer which are analogue and digital. 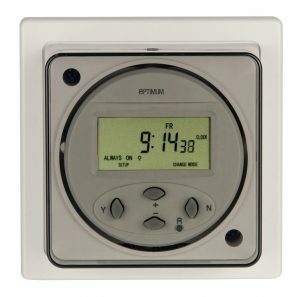 The analogue version has a 24 hours on/off function which is set by moving keys to the on or off position in connection with the time of the day/night. The digital is a 7 day timer and is able to distinguish between the days. Any day can be set to allow the element to be switched on and off at different times or not on/off at all.